Cleaning Up the Atoyac River | Kid Reporters' Notebook | Scholastic Inc. In 2016, Greenpeace estimated that 70 percent of Mexico’s rivers are polluted. According to the environmental organization, the Atoyac River is among the most contaminated. The Atoyac, which stretches for more than 50 miles, flows through dozens of towns and cities outside the sprawling capital, Mexico City. For 80 years, local industries have dumped toxic chemicals and other contaminants into the Atoyac. Untreated human waste is also contributing to the problem. The poor condition of the river affects more than 2.5 million people who live nearby. They risk inhaling toxic fumes emitted from the Atoyac, which is home to frogs, insects, plants, and several unique native species. In the past, the penalties that the government imposed on industries were not high enough to force the companies to stop dumping dangerous chemicals into the river. Recently, however, the government has shut down more than half of the companies that have been cited for violations. The color and stench of the Atoyac change throughout the year based on the chemical composition. Local organizations have also taken action. Activists say that the pollution poses a serious health risk to local residents, including an increased risk for leukemia and other cancers. 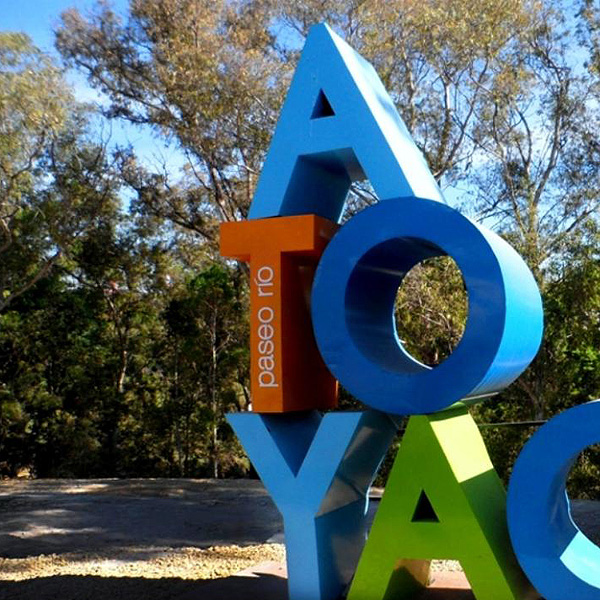 These organizations are working with local communities and government officials to clean up the Atoyac. Efforts include fund-raising, regular testing of the water, and volunteer clean-up projects. Seven years ago Melanie Camacho founded “Dale la Cara al Atoyac.” The nongovernmental group raises awareness about the dangers the contaminants pose and pressures local officials to take action.